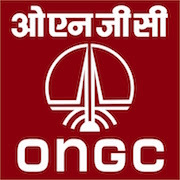 Online Application Details for Oil and Natural Gas Corporation Limited ONGC Recruitment of 8 Trade Apprentices is given below. Application form and duly attested documents are to be sent to Chief Manager (HR)-Incharge-HR/ER, Oil and Natural Gas Corporation Limited, Institute of Petroleum Safety, Health & Environment Management (IPSHEM), Betel, P.O. Velim, South Goa-403 723. In envelope super scribed with 'Application for the Post of Post Name'.